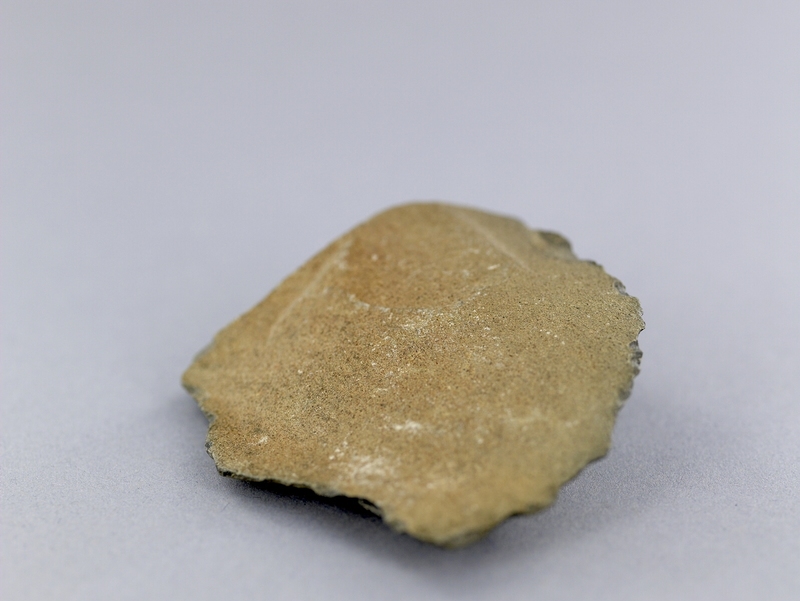 Item number M3.269 from the MOA: University of British Columbia. 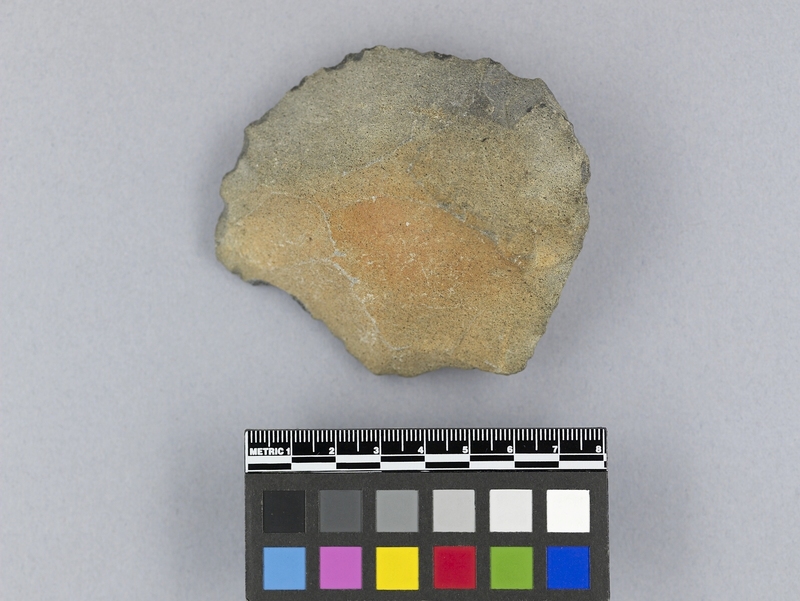 Tool flaked to form three sides. The stone is brown with a reddish-orange hue at the centre.